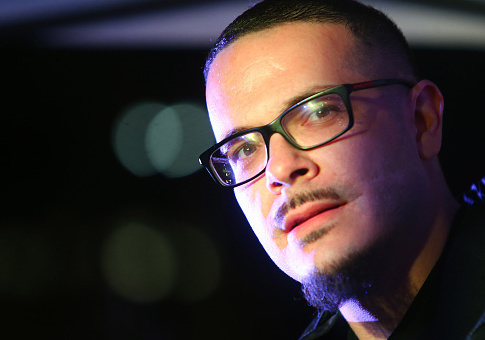 The wife of a Facebook cofounder has provided a bulk of the funding to a political action committee that was co-founded by Black Lives Matter (BLM) activist Shaun King to target district attorney races across the country in an attempt to "fight structural racism." Liberal activists and entities, such as billionaire George Soros and the Color of Change PAC, have quietly flooded local district attorney races across the country with cash and organizational support in an attempt to overhaul the criminal justice system by electing far-left DAs. King, who first spoke to media on the formation of the Real Justice PAC in February, told the Huffington Post at the time that "No position in America, no single individual has a bigger impact on the criminal justice system—including police brutality, but the whole crisis of mass incarceration in general—than your local district attorney." The PAC, which includes individuals who previously worked on Sen. Bernie Sanders's 2016 presidential campaign, states they are working to elect "reform-minded prosecutors at the county and municipal level who are committed to using the powers of their office to fight structural racism and defend our communities from abuse by state power." The Real Justice PAC filed its statement of organization with the Federal Election Commission on Feb. 2, 2017, more than a year before King publicly spoke of the efforts. The PAC's first backer was Cari Tuna, the wife of Dustin Moskovitz, a cofounder of Facebook alongside Mark Zuckerberg. Tuna cut a $653,480 check to the committee's independent expenditure account on Feb. 3, 2017, by far the most that has been given to the PAC for its activities, filings show. The Real Justice PAC has taken in $400,000 in contributions in addition to the six-figures from Tuna for its independent expenditures, or communications used to advocate for or against political candidates. The generous donation to the Real Justice PAC appears to be the only one made by Tuna this election cycle after flooding Democratic committees and PACs with funds throughout 2016. Tuna disbursed $2.5 million each to the League of Conservation Voters Victory Fund, an environmental organization, and For Our Future, a labor union PAC, in 2016. Tuna also gave $1.25 million to MoveOn.org Political Action and $416,100 to the Hillary Victory Fund, Clinton's joint fundraising committee, along with tens of thousands in other contributions to the likes of the DCCC and DNC. Moskovitz, who left Facebook in 2008 to found Asana, an application to help manage team projects and tasks, made nearly $30 million in total contributions during the 2016 cycle in an attempt to defeat Donald Trump. "We just felt really compelled to, sort of, get off the sidelines and help ensure that the Democrats were able to win the election," Moskovitz said at the time. Moskovitz was the fifth-largest individual contributor throughout the entire cycle, according to the Center for Responsive Politics. A media inquiry sent to Good Ventures, a philanthropic foundation run by Tuna and Moskovitz, was not returned by press time. Soros has poured millions into district attorney races across the country; nearly every candidate that was backed by the financier has won. Soros's longtime PAC treasurer, Whitney Tymas, most recently created a committee in California with the intent of backing Geneviéve Jones-Wright, a far-left candidate running for district attorney in San Diego County. Soros poured $1.5 million into the PAC, the Free Beacon previously reported. The Real Justice PAC has also endorsed Jones-Wright. "In the age of Trump, brave reform-minded prosecutors are more important than ever. Geneviéve Jones-Wright will be just that," the PAC's site states. The Democracy Alliance, the secretive liberal donor network cofounded by Soros, also spoke of ramping up efforts to elect far-left district attorneys at its fall investment conference last year, according to documents obtained by the Free Beacon. Jones-Wright attended the secretive conference and sat on panel at the gathering. Groups such as the ACLU and Color of Change, which was cofounded by CNN political commentator Van Jones, are also focusing on district attorney races across the country. Moskovitz donated $200,000 to the Color of Change PAC late last year, the only donations he has given to any candidate or committee this cycle. Becky Bond, a former senior advisor to the Bernie Sanders's 2016 campaign who works with the Real Justice PAC, did not return a request for comment if the PAC were working or coordinating with Soros and others given some of the overlap with candidates and support between the groups. This entry was posted in Issues and tagged Black Lives Matter, Facebook, George Soros, Shaun King. Bookmark the permalink.